This is so-o-o good and easy to make. Mix cake mix as directed. Pour into greased and floured 9 x 13 pan. Drain peaches, reserving 4 tablespoons peach juice. 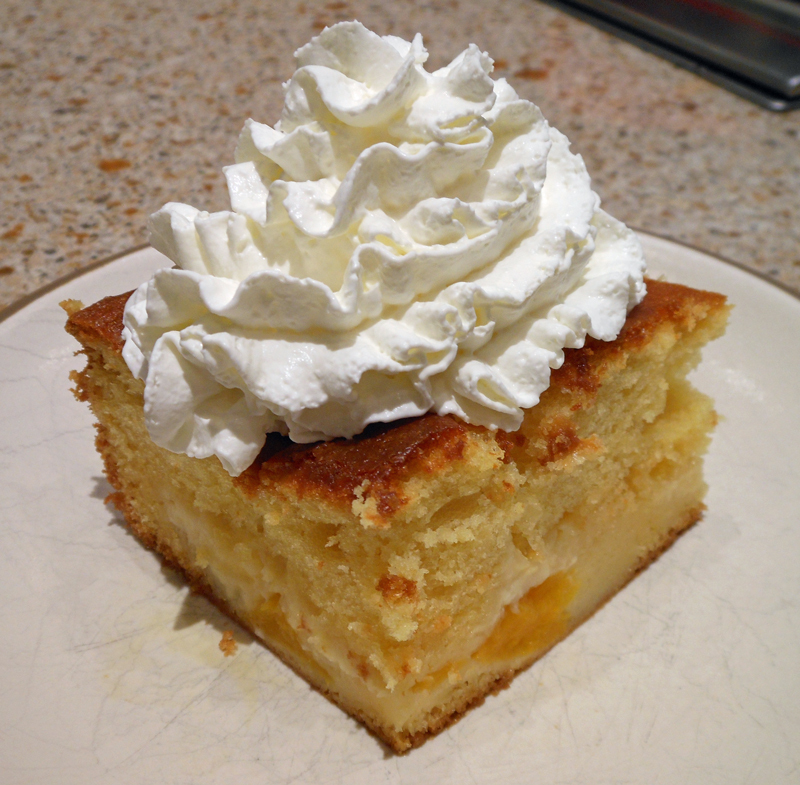 Cut peach slices in half and place on top of cake. Mix cream cheese, sugar and reserved peach juice until well blended. By tablespoonful, dollop over cake and peaches, covering the entire top of the cake. Bake 350 degrees for 60 minutes. This can be eaten cold, but I like it slightly warm with whipped cream.